1971: The first Starbucks was established and the cost of gas was $0.36 per gallon. It was also the year that Jerry Ralston began his career with L&P. Jerry, fresh out of school, “just wanted to work.” For the past 45 years, he’s accomplished his goal. He joined Leggett as an employee at Carthage Spring, a facility which produces coil mattress units. In his first role, he cleaned boiling rooms (with actual dirt floors), tidied up bathrooms, and performed minor repairs. Many days, he says, he returned home looking like a coal miner. He then worked in the Chromecraft department, where he monitored machinery and crated finished goods. After about seven years and wearing several hats, he was relocated to Phoenix, Arizona to work at our Phoenix Spring location. When not at work, Jerry enjoys spending time outdoors with his family, playing golf, and fishing. In the next five years, he would love to retire and build a log cabin at the lake. Kile (left) and Jerry inside the Carthage Spring facility. 2015: Over 23,000 Starbucks locations existed in the world and the cost of gas was 6.5 times higher at $2.34 per gallon. It was also the year that Kile Lesmeister began his career with L&P. Before joining our company, Kile was a self-employed contractor but desired a career change. In 2015, Kile joined Leggett as a Production Supervisor at Carthage Spring. His main responsibilities are to oversee shift safety, quality, and production. Kile is at the heart of the change for Branch 1, as his main concerns are to improve efficiencies and productivity, as wells as to reduce scrap to achieve department goals. He enjoys making his employees’ jobs easier. If there is a way to streamline a process or increase efficiencies, Kile works to make it happen. “My favorite part of working for Leggett is the people I spend my day with,” Kile said. “They have become my second family.” In the next few years, Kile hopes to progress with his job. Whether he strives to become Department Superintendent or General Superintendent, he believes Leggett has all the potential to build his career. 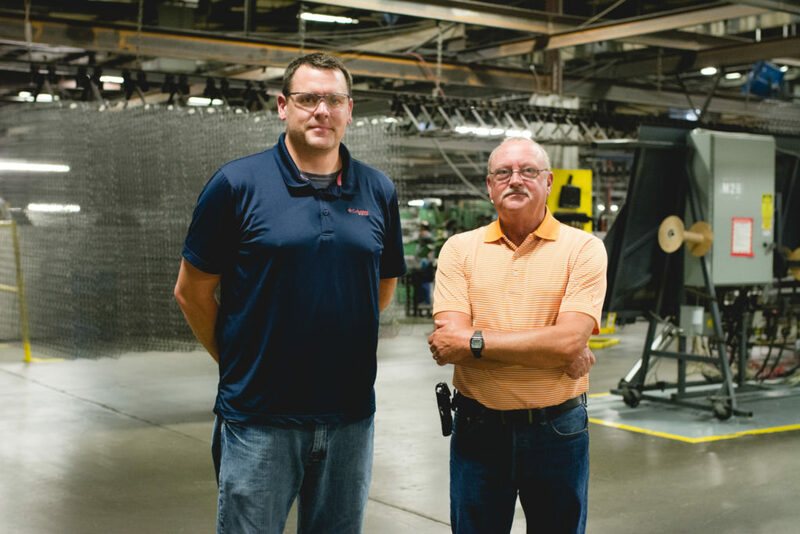 Even despite different backgrounds and different experiences at Carthage Spring, Jerry and Kile have lived by the same mantra: At Leggett, we show up and work hard. If you are interested in applying for a position at Carthage Spring or any other Leggett location worldwide, please visit our careers page.